At the time of the full moon at the Spring Equinox, the people of the Messiani extinguish all their hearth-fires and every lamp and lantern and source of light amongst them. They gather then on the hillside at midnight and in the darkness a Holy Man strikes the new fire from the rock of flint and with this a great sacred fire is made to blaze. This new fire from darkness represents, for the Messiani, the rebirth of Messia their dying god, and also the rebirth of the year and the coming of new life out of darkness and winter. An image of the risen god in the form of a tall candle is then lighted from the fire to symbolise his return from the dead, and adorned with certain sacred signs by which past and future and all time is made to centre on this time and this place. Led by the flame of the image the whole throng then moves in procession from the fire to the place of assembly. As they go they take new flame from the image for their own torches and lanterns and they dance and shout the praises of Messia ‘the light of the world’. When the crowd is once more assembled Messia is erected amongst green boughs and flowers and other signs of fertility and a Holy Man addresses it in song, bringing this Holy Night to coincide with the mythic nights of creation and of the birth of the Messiani people, the daylight night of the death and rebirth of God which, for the Messiani, is also the death and rebirth of Man. This is followed by the solemn chanting of the creation myths and other legends of the sacred story of the Messiani, always with the theme of darkness and the conquest of darkness by light. Then, while two Singing Men start an hypnotic chant naming the names of the holy ones of the Messiani past, a great bath of water is prepared which is to receive power from the Fire and Light so that it will become the Waters of Life. Those who are to be initiated into the mysteries of the Messiani, must pass through this water, and, moreover, all the people are splashed with it, for they believe that this will bring them fertility and renewed life during the coming year. 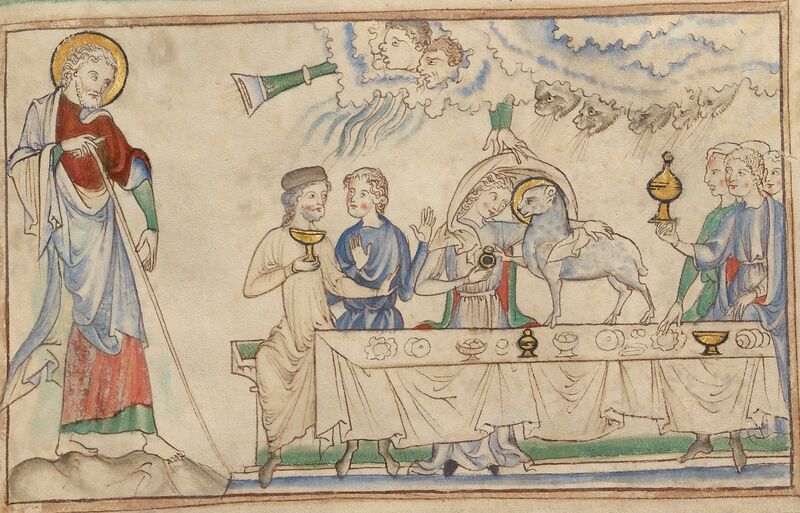 The climax is reached with the common sacred banquet of the Dying and Rising God/Man. 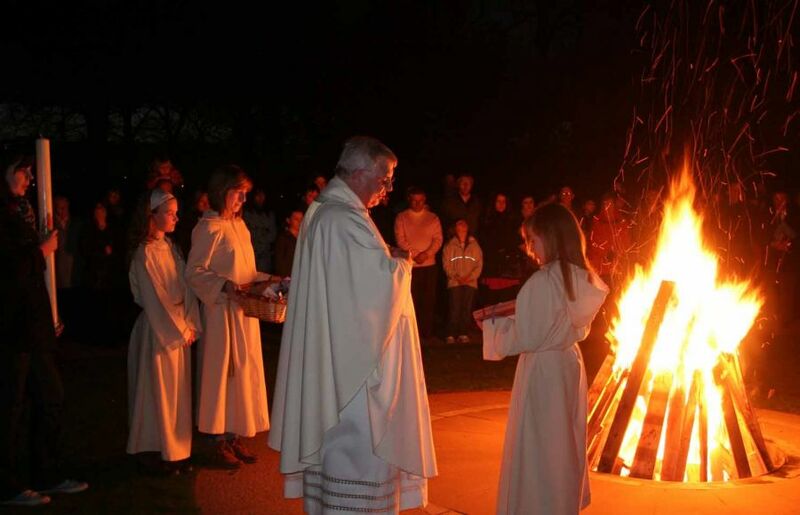 Now from Fire and Light and Water we pass to Bread and Wine consecrated and made holy, for in consuming them together the Messiani believe that they are mystically devouring the very flesh and blood of the Dying God: their bodies are thus made one with his and share in his new risen life. When this mystery has been enacted the entire throng, men, women and children, make their way to another place for cocoa and buns. The theory of penal substitutionary atonement provides a clear, simple-to-understand explanation of the events of Holy Week. On the cross the eternal Son endures the wrath of God for the sins of the world. He stands in our place; he suffers the punishment due our iniquities, pays the debt we could not pay ourselves. There’s only one problem—if taken literally, the theory severely distorts the gospel. It introduces retribution directly into the heart of the Father, thus requiring the invention of a device by which to reconcile the warring principles of justice and mercy. The result is the barbaric PSA-sacrifice of Jesus of Nazareth. The propitiatory sacrifice becomes the principal focus of preaching: “You are sinners living under the judgment of the cross. Believe on the Savior who has paid for your sins, lest you be eternally damned.” We have heard this message from our pastors on Sunday mornings, from television and camp meeting evangelists, from Sunday school teachers and youth ministers. Here in America it has shaped our religious and cultural identities since the First Great Awakening in the 18th century. So God the Son became man so that by his suffering and death he could pay the price of sin. This seems to be based on an idea of punishment as a kind of payment, a repayment; the criminal undergoing punishment ‘pays his debt to society’, as we say. It takes a divine man, however, to pay our debt to divine justice. The Christian tradition has long juggled various metaphors by which to speak of our Lord’s atoning death on the cross–satisfaction, ransom, debt, expiation, liberation, victory. But of course these are metaphors drawn from our daily lives. We should not think of them as literally applying to the divine work of atonement, and we distort that divine work if we so interpret them. Every metaphor includes a denial, a not. This is a good thing, as it allows the Church to draw on a wide range of figurative expressions by which to proclaim the good news of Jesus Christ. The metaphorical not saves us from a great deal of nonsense. “No theory and no metaphor is going to exhaust the mystery of the cross,” writes McCabe, “and by the same token the most peculiar theories and models may have some light to shed on it provided we do not taken them too literally” (p. 92). So if the atonement ain’t penal, why the cross? It hardly suffices to think of Calvary as mere happenstance, accidental to the dominical life. Jesus certainly did not think so: “Behold, we are going up to Jerusalem; and the Son of man will be delivered to the chief priests and scribes, and they will condemn him to death, and deliver him to the Gentiles to be mocked and scourged and crucified, and he will be raised on the third day” (Matt 20:18-19). Our Lord both anticipated his death and understood it as the inevitable culmination of his work. He knew that the priestly authorities would reject his messianic mission, and he knew that the Roman authorities would deem him a threat to the social order. Thus one answer to the question “Why did Christ die on the cross?” would be: “He died because those who held power did not recognize in him the saviour they awaited and so found him merely a subversive nuisance, which was quite enough for the colonial power to have him crucified” (p. 91). But McCabe finds this historical explanation ultimately inadequate. It does not explain why the cross became the central symbol of Christian identity and evangelistic mission. Well, then, did the Father want Jesus to be crucified? And, if so, why? The answer as I see it is again: No. The mission of Jesus from the Father is not the mission to be crucified; what the Father wishes is that Jesus should be human … And this is what Jesus sees as a command laid on him by his Father in heaven; the obedience of Jesus to his Father is to be totally, completely human. This is his obedience, an expression of his love for the Father; the fact that to be human means to be crucified is not something that the Father has directly planned but what we have arranged. We have made a world in which there is no way of being human that does not involve suffering. Now extrapolate this deep fear of life into the economic and political structures, the structures our fear has created and into which we are born. We have made a world in which anyone who ventures into generosity and charity must be destroyed. Such it has always been, as far back as we can see; such it will always be, as far forward as we can see. We pass this world of sin and death to our children, unto the third and fourth generations. The Church calls this original sin. 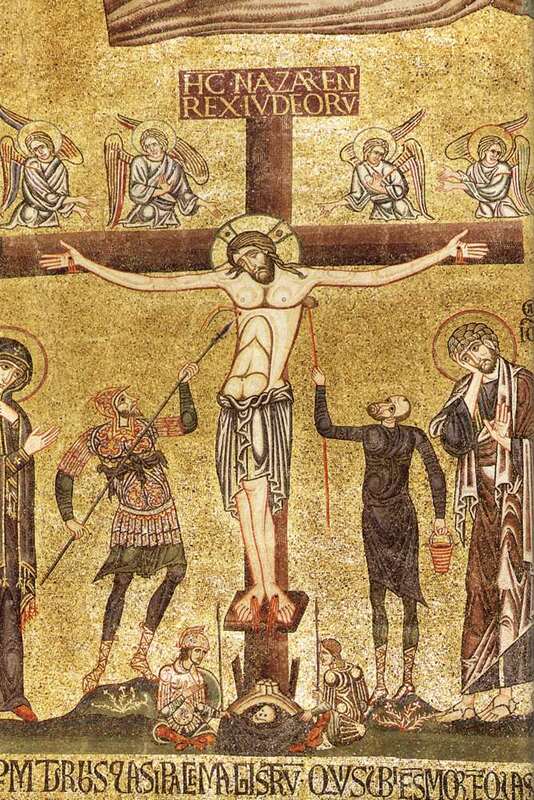 Why did we nail Jesus to the cross? Because we needed to be rid of him. Why did Jesus accept the cross? If there is a theme that is both central to Christian revelation and yet obscured by much that has for centuries passed for “sound” Christian theology, surely it is the idea—so evident in the teaching of Christ—that at the very heart of created existence is divine love. Working in and through everything is the loving Father, who makes no distinction in his munificence: “for he makes his sun rise on the evil and on the good, and sends rain on the just and on the unjust” (Matt. 5:45). In Jesus’ view, this dispassionate, non-discriminating love is what makes the Father “perfect” (teleios), and it is precisely this “perfection” of love that followers of Christ are exhorted to emulate: “You, therefore, must be perfect, as your heavenly Father is perfect” (Matt. 5:48). Christian theology has often forgotten, or at least not emphasized sufficiently, this primary truth. Instead we have been led to believe that “justice” precludes compassion and mercy whenever God’s righteousness is offended, which apparently happens quite a lot. And so we have Jesus’ admonitions related to the avoidance of “Gehenna” transformed over time by officious churchmen and “doctors” into fearful threats of “eternal” torture in “hell”. God, in this doctrinally “developed” view, is not so much a loving Father as a vindictive judge. Add to that the later, frankly barbaric Augustinian doctrine of predestination as enunciated in the West—that only a comparative handful of the elect, chosen from all eternity in the inscruta­ble counsels of God, will be spared everlasting torment, and that only made possible through the shedding of Christ’s blood as a “satisfaction”—and you have a dogma that is not only devoid of real love, but also of any logical coherence. “Hell”, in that scenario, can only mean unrelenting punishment visited on souls who have done nothing themselves to merit it, apart from being born (and, really, whose fault was that?). It’s as if Jesus, when speaking of forgiveness and “damnation”, had never once suggested that one could be forgiven both “in this age” and also “in the age to come” (Matt. 12:32); or as if he had said merely, when speaking of final judgment and punishment, that those condemned “will never get out”, rather than, as he actually is recorded as having said, that they “will never get out until [they] have paid the last penny” (Matt. 5:26). I would suggest that that little word “until” is rather significant. The point I’m coming to here is not a denial of “hell” in the sense that Jesus used the metaphor of “Gehenna”. It is not a denial even of “punishment”, if by “punishment” is meant something that doesn’t merely chastise and cause pain, but something that actually corrects and sets a person right. “Punishment”, that is, that rehabilitates and restores. For that remedial outcome “torture” and “torment” do not work, and even the term “punishment” is not a particularly useful one. All I am doing here, by the way, is summarily repeating what the great Scottish writer and (often maligned) theologian George MacDonald said on the matter a century and a half ago (see his Unspoken Sermons, particularly the sermon entitled “Justice”). My point is merely this: if the primary theme of Christ’s “good news” is the love of God, that divinity is characterized by infinite compassion and grace, that sin is swallowed up by mercy, that justice is a manifestation of love and therefore has as its end the reclamation of all things—if, in other words, God “desires all human beings to be saved”, “is the Savior of all human beings, especially of those who believe”, and does not will “that any should perish, but that all should reach repentance” (1 Tim. 2:4, 4:10; 2 Pet. 3:9)—then it follows that “hell” is a means, not an end, for the sake of salvation. Not the best means by a long shot, and not an unavoidable means because of the cross; but a means nonetheless. Hard headed Scotchman as he was, [Buchanan] manifested in his attitude to his brother poets a good deal of the peculiar, harsh conservatism of which Scotchmen seemed to be particularly capable. And he did himself immense injury in his younger days by an anonymous attack upon the morals, or rather upon the moral tone, of such poets as Rossetti and Swinburne. Swinburne’s reply to this attack was terrible and withering. That of Rossetti was very mild and gentle, but so effective that English literary circles almost unanimously condemned Buchanan, and attributed his attack to mere jealousy. I think the attack was less due to jealousy than to character, to prejudice, to the harshness of a mind insensible to particular forms of beauty. But the time has now passed when Buchanan can be treated as an indifferent figure in English literature. In spite of all disadvantages he has been a successful poet, a successful novelist, and a very considerable influence in the literature of criticism. Besides, he has written at least one poem that will probably live as long as the English language, and he has an originality quite apart and quite extraordinary. Contrary to Hearn’s prediction, Buchanan has nonetheless become an “indifferent figure in English literature”, and the “one poem” that Hearn marks out as having had the potential to “live as long as the English language” is now mostly forgotten. 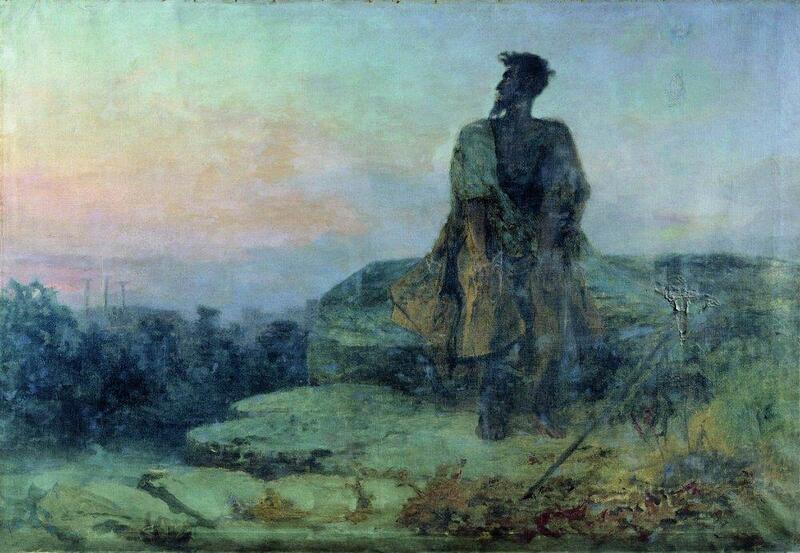 The title of the poem is “The Ballad of Judas Iscariot”. And, in fact, I think it could effectively be set to music and sung in true ballad style—surely there must be some group of musicians out there, folk or medieval or Americana, who could take on this task and do it right. The poem is undiluted nineteenth-century “gothic”; Buchanan might have disliked the Pre-Raphaelites, but the imagery in it could have made a fitting subject for one of the Pre-Raphaelite artists. Its atmosphere is gloomy and dark, and it puts me in mind of Ray Bradbury’s description of what he called the “October Country”: “That country where it is always turning late in the year. That country where the hills are fog and the rivers are mist; where noons go quickly, dusks and twilights linger, and midnights stay.” Buchanan was, after all, a Celt. Before we turn to the poem itself, I must explain to you something of the legend of Judas Iscariot. You know, of course, that Judas was the disciple of Christ who betrayed his master… Afterwards Judas, being seized with remorse, is said to have hanged himself; and there the Scriptural story ends. 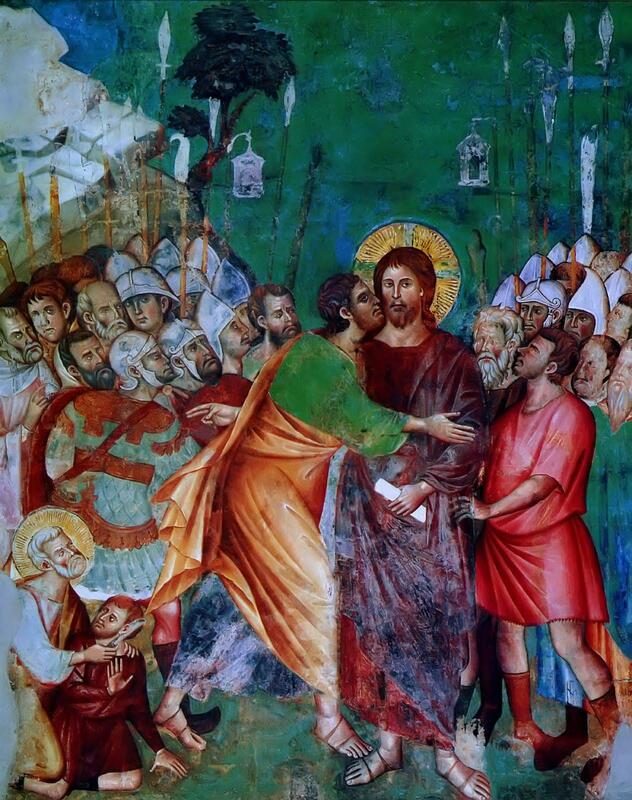 But in Church legends the fate of Judas continues to be discussed in the Middle Ages. As he was the betrayer of a person whom the Church considered to be God, it was deemed that he was necessarily the greatest of all traitors; and as he had indirectly helped to bring about the death of God, he was condemned as the greatest of all murderers. It was said that in hell the very lowest place was given to Judas, and that his tortures exceeded all other tortures. But once every year, it was said, Judas could leave hell, and go out to cool himself upon the ice of the Northern seas. That is the legend of the Middle Ages. Now Robert Buchanan perceived that the Church legends of the punishment of Judas might be strongly questioned from a moral point of view. Revenge is indeed in the spirit of the Old Testament; but revenge is not exactly in the spirit of the teaching of Christ. The true question as to the fate of Judas ought to be answered by supposing what Christ himself would have wished in the matter. Would Christ have wished to see his betrayer burning for ever in the fires of hell? Or would he have shown to him some of that spirit manifested in his teachings, “Do good unto them that hate you; forgive your enemies”? As a result of thinking about the matter, Buchanan produced his ballad. And it is at this juncture that Hearn says that all that can be said against the ballad is that its Christianity is more truly Christian (i.e., “Christ-like”) in spirit than Christianity (in its most rigidly ossified doctrinal form) had become. In order to understand the beginning of the ballad clearly, you should know the particulars about another superstition concerning Judas. It is said that all the elements refused to suffer the body [of Judas] to be committed to them; fire would not burn it; water would not let it sink to rest; every time it was buried, the earth would spew it out again. Man could not bury that body, so the ghosts endeavoured to get rid of it. The Field of Blood referred to in the ballad is the Aceldama of Scriptural legend, the place where Judas hanged himself. And with all that in mind, Hearn gives us the text of the ballad. I would remark before I do the same that the dualism of body and soul is a striking feature of the poem. The great conundrum for the soul of Judas, his own Sisyphean task, is what to do with his body, since none of this world’s elements will receive it. In effect, this becomes the living hell of the dead Judas—the bearing of his own suicide’s body. For a poem that will, as we will see, undermine the notion of an everlasting (and thereby unjust) punishment, I can think of few images more truly hellish in nature than Buchanan’s vision of Judas’s torments. Whose are the “chilly hands” we can only guess. I imagine they belong to the “ghosts” that Hearn mentions in his retelling of the original legend. This, in my opinion, must be the most disturbing image of the entire poem. At least it should be for those who believe in Christ’s bodily resurrection. I don’t presume to know Robert Buchanan’s belief regarding it, and I would have preferred that he had not included these verses at all. But, he did, and we have to take the poem as we find it. 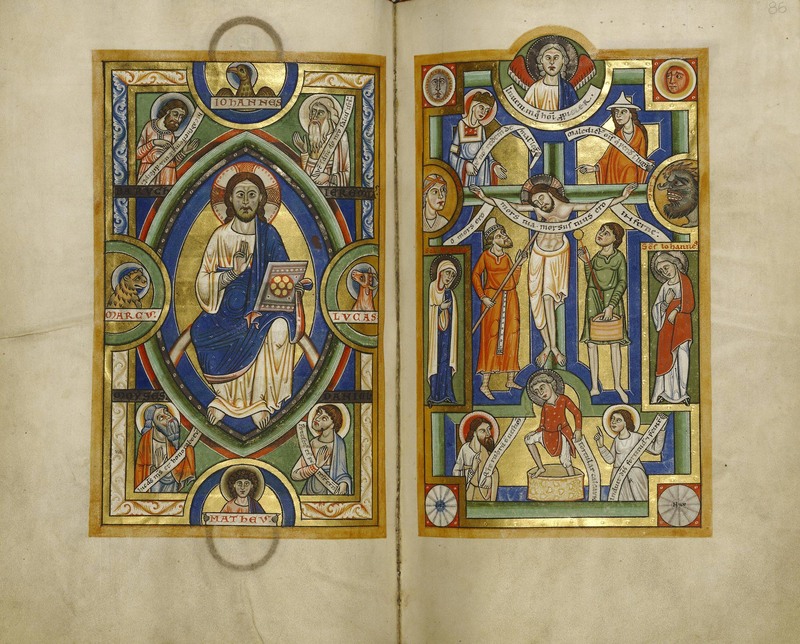 The ghostly hand had pushed Judas to the place of all places where he would have wished not to go… [W]e may suppose that the whole description is of a phantasm, purposely shaped to stir the remorse of Judas. 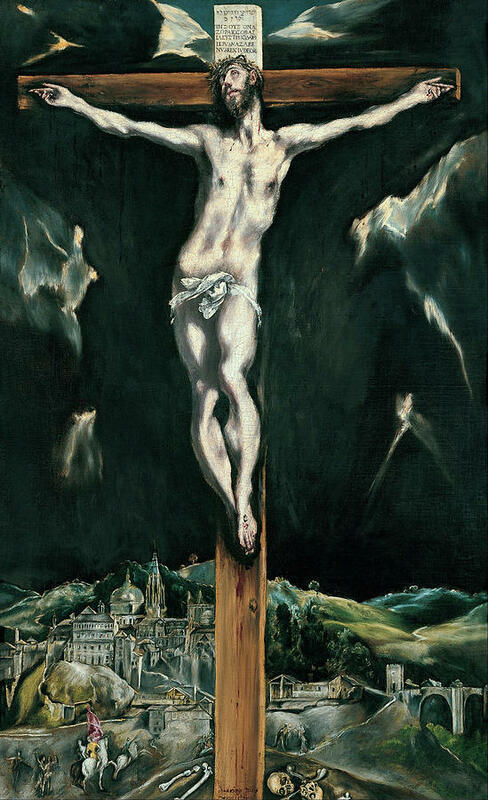 The white dove sleeping upon the middle cross suggests the soul of Christ, and the great grave made below might have been prepared out of mercy for the body of Judas. If the dove had awoke and spoken to him, would it not have said, “You can put your body here, in my grave; nobody will torment you.” But the soul of Judas cannot even think of daring to approach the place of the crucification. That is as good an explanation as any, I suppose, and I think it at least comes closest to what Buchanan intended. In this way, then, Judas’s betrayal of Christ’s blood is connected to all the bloodshed of human history. 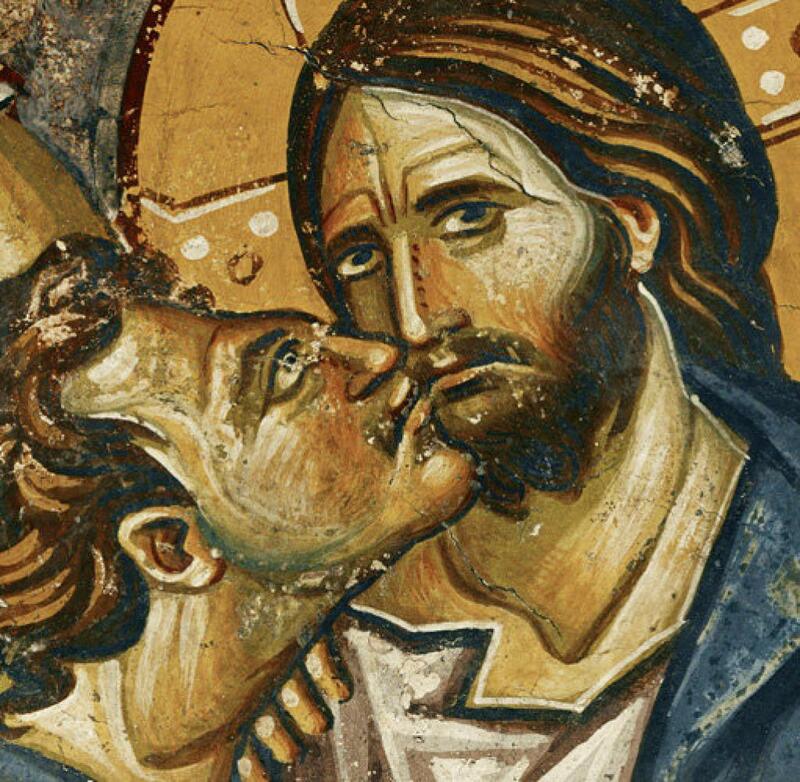 This is an image that might just possibly suggest at once the greatness and horror of Judas’s guilt, and likewise an implicit first indication of the hope of redemption even for so grave a crime. But only the body [of Judas lies stretched along the snow]. The soul which has carried it does not lie down, but runs round and round the lighted hall, where the wedding guests are assembled. What wedding? What guests? This is the mystical banquet told of in the parable of the New Testament; the bridegroom is Christ himself; the guests are the twelve disciples, or rather, the eleven, Judas himself having been once the twelfth. And the guests see the soul of Judas looking in at the window. The theme of love and forgiveness overcoming sin and unworthiness is similar, as is the image of the banquet and the Lord’s Supper as the sign and sacrament of divine love. The difference between the two poems is that, while Herbert’s is a sort of parable about the sinner’s approach to his merciful Lord in the here and now, Buchanan’s “Ballad of Judas Iscariot” takes that same theme beyond death and hell and stretches it to its ultimate limit, to include in mercy’s embrace the worst of sinners as the greatest expression of grace imaginable. In my own opinion (and the reason why I have an abiding affection for this quirky ballad), nothing less than that can or should ever be attributed to God. What Buchanan does is show us a striking and strangely moving vision, one that—again, in the words of Lafcadio Hearn—“is even more Christian than Christianity itself”. 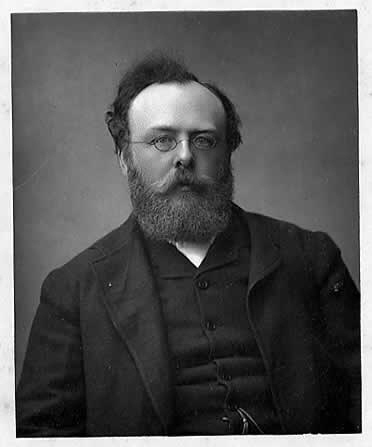 Whatever heterodoxies the author himself may have entertained, his ideal vision is as “Christian” as Christ and Christ’s good news of a loving God, whose unchangeable will is—no matter how long it may take (and “length of time” means nothing in eternity)—“that all should reach repentance”. To my mind, that is the greatest “orthodoxy”—“right glory”—one could ever accord to God. Fr Addison Hart is a retired pastor and college chaplain presently living in Norway. He is the author of The Letter of James: A Pastoral Commentary, The Hour, the Woman, and the Garden, Strangers and Pilgrims Once More, and The Ox-Herder and the Good Shepherd. 1) God, in [James] Denney’s phrase, ‘condones nothing’, but judges all sin as it deserves: which Scripture affirms, and my conscience confirms, to be right. (2) My sins merit ultimate penal suffering and rejection from God’s presence (conscience also confirms this), and nothing I do can blot them out. (3) The penalty due to me for my sins, whatever it was, was paid for me by Jesus Christ, the Son of God, in his death on the cross. (4) Because this is so, I through faith in him am made ‘the righteousness of God in him’, i.e. I am justified; pardon, acceptance and sonship become mine. (6) My faith in Christ is God’s own gift to me, given in virtue of Christ’s death for me: i.e. the cross procured it. (7) Christ’s death for me guarantees my preservation to glory. (8) Christ’s death for me is the measure and pledge of the love of the Father and the Son to me. (9) Christ’s death for me calls and constrains me to trust, to worship, to love and to serve. Packer eschews the crude pagan account of an angry deity who needs to be placated and appeased. The atonement of Christ is propelled by the eternal love of the Father and the Son for humanity. But God is also just. Our sins deserve his condemnation. The divine wrath must be mollified before humanity’s salvation can be achieved. 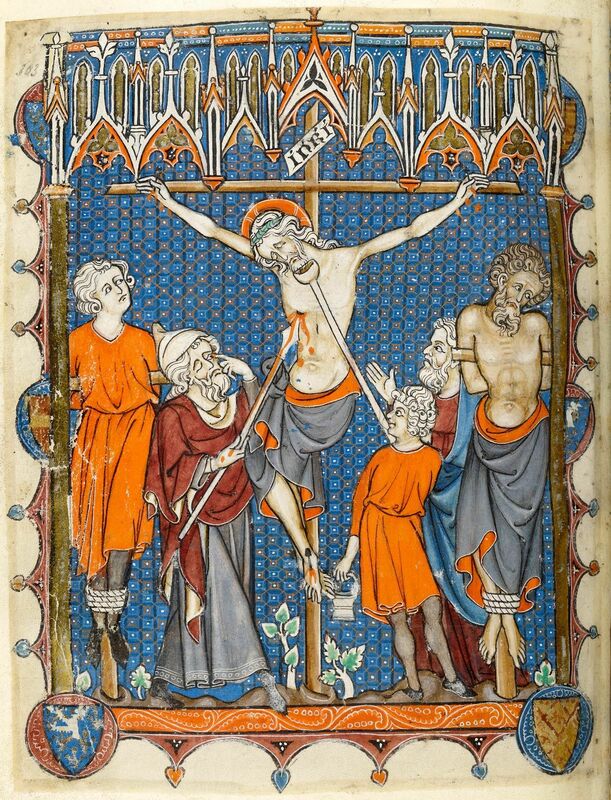 Solution: the Son becomes Man and on the cross offers “a full, perfect, and sufficient sacrifice, oblation, and satisfac­tion, for the sins of the whole world” (Book of Common Prayer). How does Jesus’ death redirect and remove from humanity the “destructive divine wrath”? What is this penalty and debt that must be paid before our salvation can be effected? Why couldn’t God just forgive outright and skip the horror of the crucifixion? I do not know if Packer would accept MacDonald’s formulation of penal substitutionary atonement—I imagine he might object to the use of the word “torture”—but I do not doubt that he is accurately describing the doctrine as it was popularly taught. As MacDonald remarks: “I know the root of all that can be said on the subject; the notion is imbedded in the gray matter of my Scotch brains; and if I reject it, I know what I reject.” What else was the crucifixion, what else is eternal perdition, but torture? Here the “destructive divine wrath” is displayed in all of its fury. If there be no satisfaction to justice in the mere punishment of the wrong-doer, what shall we say of the notion of satisfying justice by causing one to suffer who is not the wrong-doer? And what, moreover, shall we say to the notion that, just because he is not the person who deserves to be punished, but is absolutely innocent, his suffering gives perfect satisfaction to the perfect justice? That the injustice be done with the consent of the person maltreated makes no difference: it makes it even worse, seeing, as they say, that justice requires the punishment of the sinner, and here is one far more than innocent. They have shifted their ground; it is no more punishment, but mere suffering the law requires! The thing gets worse and worse. I declare my utter and absolute repudiation of the idea in any form whatever. Rather than believe in a justice—that is, a God—to whose righteousness, abstract or concrete, it could be any satisfaction for the wrong-doing of a man that a man who did no wrong should suffer, I would be driven from among men, and dwell with the wild beasts that have not reason enough to be unreason­able. What! God, the father of Jesus Christ, like that! His justice contented with direst injustice! The anger of him who will nowise clear the guilty, appeased by the suffering of the innocent! Very God forbid! Unable to believe in the forgivingness of their father in heaven, they invented a way to be forgiven that should not demand of him so much; which might make it right for him to forgive; which should save them from having to believe downright in the tenderness of his father-heart, for that they found impossible. They thought him bound to punish for the sake of punishing, as an offset to their sin; they could not believe in clear forgiveness; that did not seem divine; it needed itself to be justified; so they invented for its justifica­tion a horrible injustice, involving all that was bad in sacrifice, even human sacrifice. They invented a satisfaction for sin which was an insult to God. He sought no satisfaction, but an obedient return to the Father. What satisfac­tion was needed he made himself in what he did to cause them to turn from evil and go back to him. The thing was too simple for complicated unbelief and the arguing spirit. Atonement for MacDonald begins with the unconditional love of God and terminates in the concrete reconciliation of sinners. Love and justice are one. To make my meaning clearer,—some of you say we must trust in the finished work of Christ; or again, our faith must be in the merits of Christ—in the atonement he has made—in the blood he has shed: all these statements are a simple repudiation of the living Lord, in whom we are told to believe, who, by his presence with and in us, and our obedience to him, lifts us out of darkness into light, leads us from the kingdom of Satan into the glorious liberty of the sons of God. No manner or amount of belief about him is the faith of the New Testament … What I insist upon is, that a man’s faith shall be in the living, loving, ruling, helping Christ, devoted to us as much as ever he was, and with all the powers of the Godhead for the salvation of his brethren. Faith is not a matter of assenting to a doctrine about what Christ achieved for us in the past. Faith is trusting in the glorified Savior who is present to us now, who speaks to us in Word and Sacrament, who indwells our hearts and pours out his Spirit, who establishes us “in absolute oneness with God and all divine modes of being, oneness with every phase of right and harmony” (“Life”). Atonement is not truly finished until sinners have been brought to perfect unity with the Father through the Son in the Spirit. Though MacDonald does not frequently address the resurrection of Jesus, clearly all of his preaching and teaching presupposes it. Easter lies at the heart of his faith, not as a doctrine but as spirited relationship. MacDonald demonstrates little interest in doctrine. He knows how easily it can become a substitute for, and obstacle to, faith—hence his focus on obedi­ence. Why obedience? Because it is the key to personal union with our Creator: “The doing of the will of God is the way to oneness with God, which alone is salvation” (“Truth in Jesus”). Did MacDonald believe in the atonement? There can be only one answer: he believed in nothing but atonement! “With all my heart, and soul, and strength, and mind,” he confesses, “I believe in the atonement, call it the a-tone-ment, or the at-one-ment, as you please. I believe that Jesus Christ is our atonement; that through him we are reconciled to, made one with God” (“Justice”).